An NHL-size ice surface with modern heated seating for 1000 spectators. State of the art Geo-thermal heating/cooling unit that creates an extraordinary skating surface. Male and female dressing rooms (11): six standard, two small, one large, and two referee. Rooms for administration, officials, first aid, skate sharpening, sound and maintenance as well as a minor hockey office and boardroom. 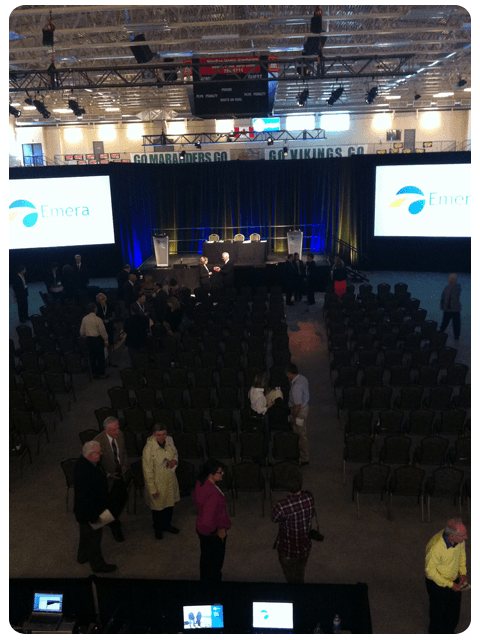 With the ice out the facility can seat up to 2300 people comfortably.